ATCHISON – By now, many Atchison residents have likely received an important piece of mail from the City of Atchison containing a citizen satisfaction survey. “The surveys will be a valuable resource as we work to provide residents with the most responsive government possible,” City Manager Becky Berger said. The surveys will be 54 questions long and the goal is to receive a large enough response to be statistically meaningful. 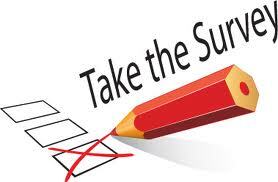 Each survey will be sent with a postage-paid return envelope to encourage participation. Residents will get to provide feedback on nearly every aspect of city government. The questions cover topics such as quality of services, public safety, code enforcement, infrastructure, parks and facilities, utilities, economic development and city communications. The surveys will come from the ETC Institute, an organization with an outstanding record of performance in gauging community feedback nationwide. Each survey will include a letter to residents signed by Berger. An online version of the survey is available at www.atchisonsurvey.org. Residents are encouraged to respond to the surveys within a few days of receiving them. Once enough surveys have been received to provide a valid statistical representation, ETC Institute will compile the results. The results will be released to the public once received by City officials. The survey results will be available at the City of Atchison website and in paper form at City Hall.